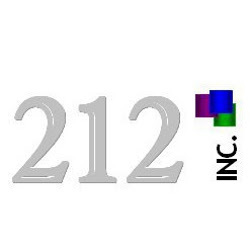 212 Marketing Solutions, a leading Providence based direct marketing and sales agency, promotes Eric Recchia to Assistant Management today. “I am honored to receive this promotion and excited for the challenge the new responsibility will bring,” says Eric Recchia, Assistant Manager, 212 Marketing. Eric Recchia began with 212 Marketing Solutions Inc., in the New York office as an intern in sales and marketing during the summer of 2008. After attending SUNY – Cobleskill as a marketing major, Eric wanted to gain some real-world experience. After three months with the company he began work as the full-time Account Manager with responsibilities to oversee three additional employees. In July 2009, Eric followed Andrea Atkinson, President of 212 Marketing Solutions, to Rhode Island to open the new location. Five months later Eric received his promotion and is now in charge of nearly half the staff who are responsible for producing over $10,000 in weekly revenue for the company.